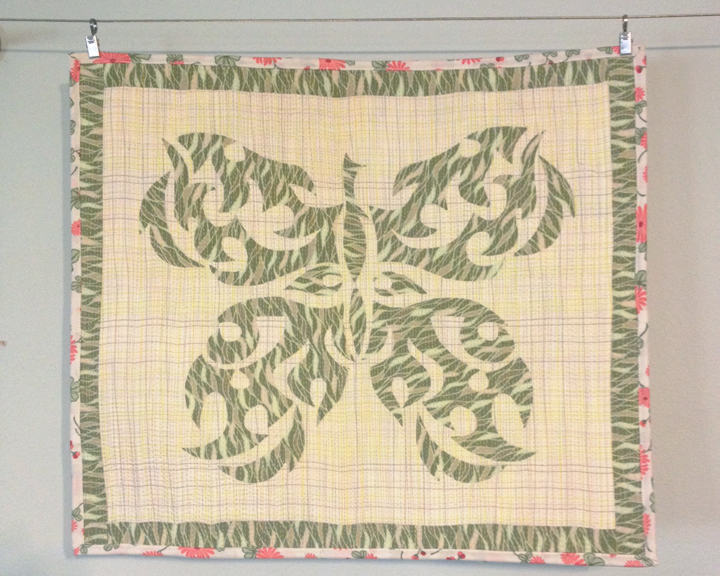 I made a crazy little Dragonfly Quilt for my Michael Miller MQG Challenge 2014 entry. You may have already seen it on the blog, here. 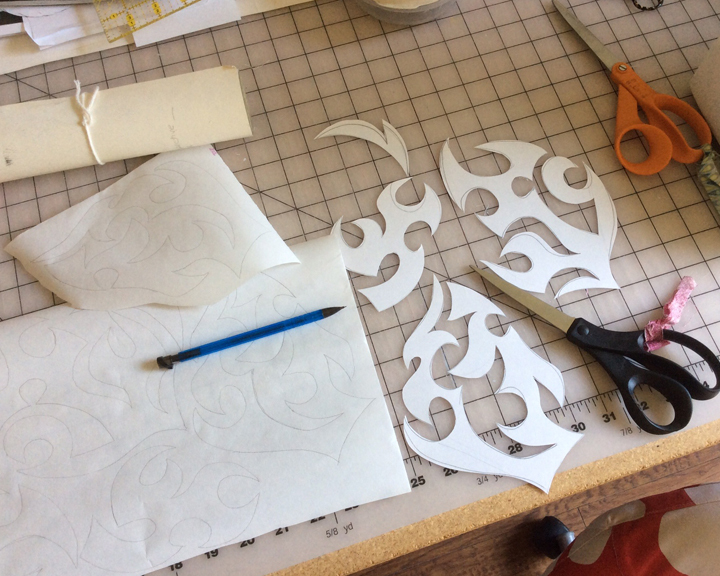 The concept was to take some of the basic “swirl + pointy” shapes of a tribal tattoo and make something with fabric. 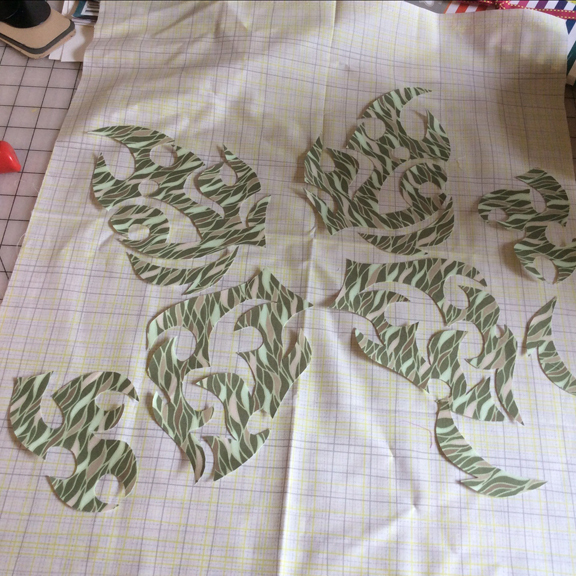 I needed a rough draft before I cut into the challenge fabric. The method to make the design started with pencil and paper. I sketch out a dozen or more butterflies. Each one had the wing quadrants filled with different shapes. The butterfly silhouettes varied quite a bit, too. 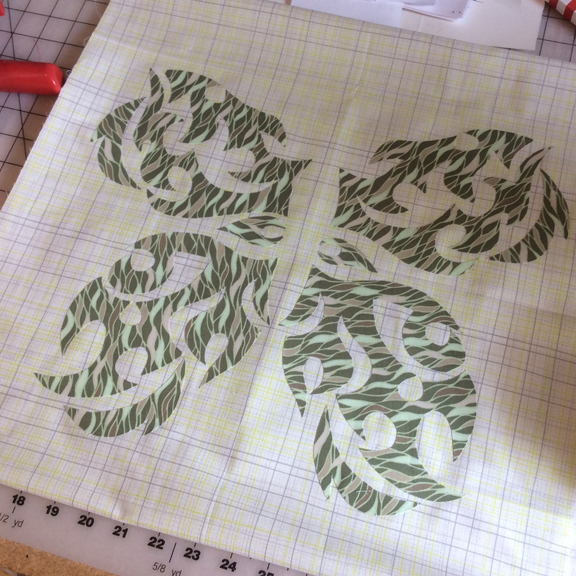 Ultimately I decided to sketch a final butterfly, cut out the “swirl + pointy” wing shapes and trace them directly onto Heat’N’Bond fusible web. After fusing the Heat’n’Bond to the wrong side of the fabric and cutting out the shapes, I needed to decide on the placement. 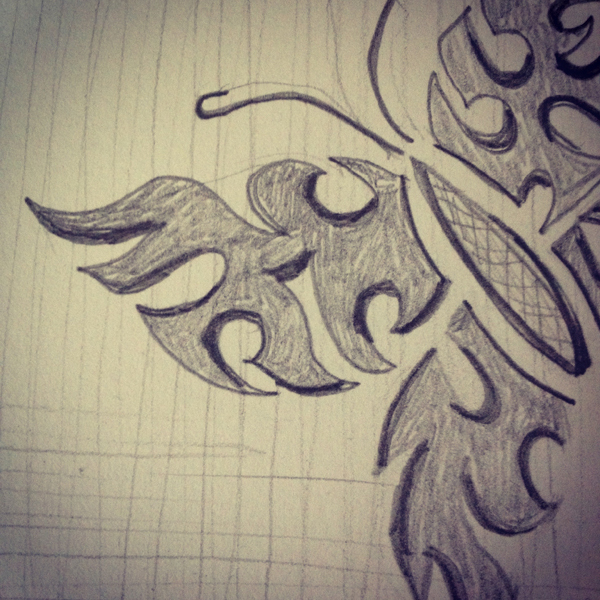 Ultimately decided it was a rough draft and I should just make it look like a butterfly. Yep. That is what the quilt will look like. 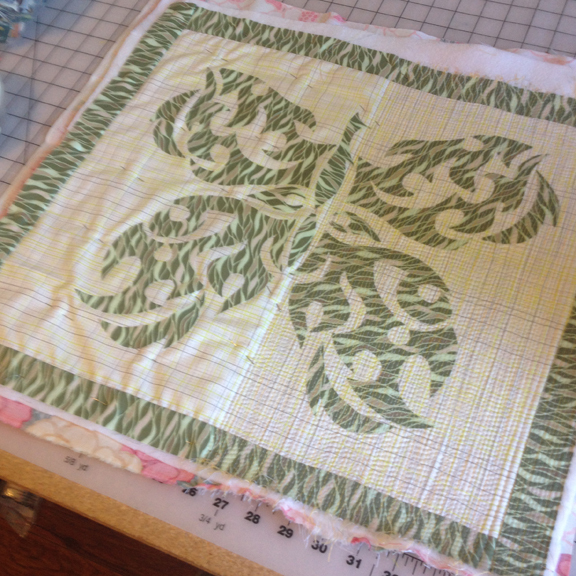 I was using a fat quarter stack by Carol Van Zandt for Andover Fabrics. I actually had some leftover planned shapes and was able to make the butterfly body out of “negative” or trash pieces cut from the wings. That was totally by accident. Unfortunately, I didn’t take the time to measure twice and my border has a bit of a wave to it. The natural reaction to that problem “Oh, that will quilt out.” The real remedy, however, would be to remove and re-stitch that border. I think we all know which one I went with…. 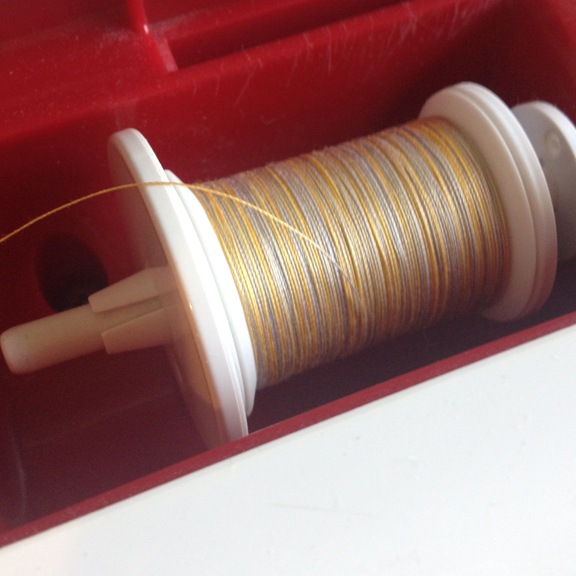 Find a great thread (Sulky Blendables) for the top thread and wind up a few bobbins with the regular ole white thread. 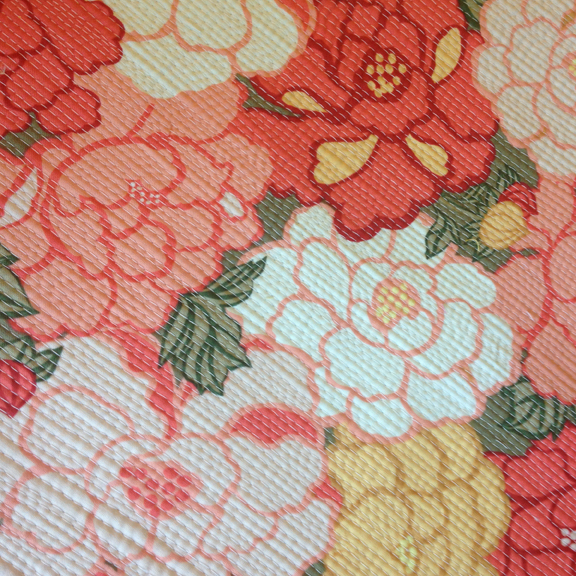 Do you know Matchstick Quilting? It is where you cover your quilt with reasonably straight lines, all 1/8″ apart, using your walking foot for even fabric feed. 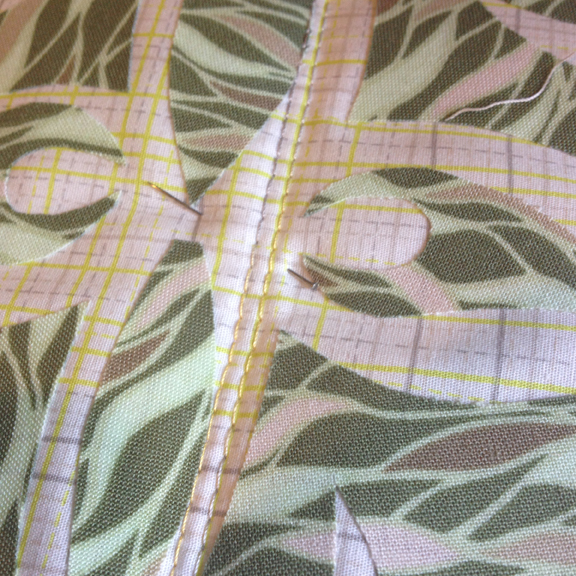 I’ve done 1/4″ apart straight-line quilting. And I’ve tried echo quilting. Start in the middle. No problemo. Couple of lines are looking good. 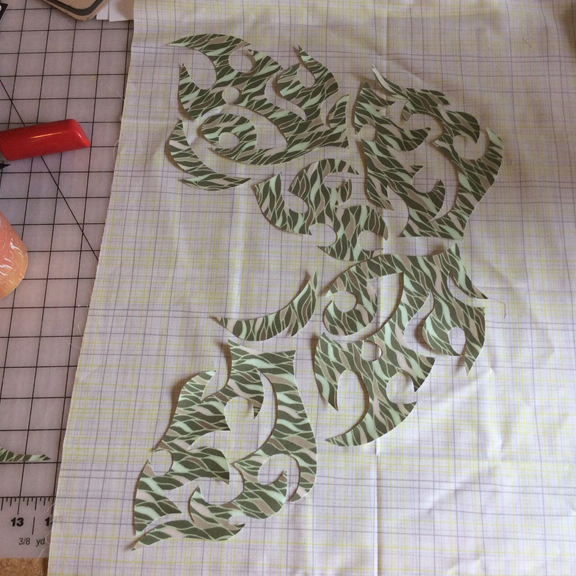 OH- I should mention, if you are doing this style of applique, Raw Edge Applique with a fusible web on the back of your fabric, generally you stitch around each shape to secure the edges. 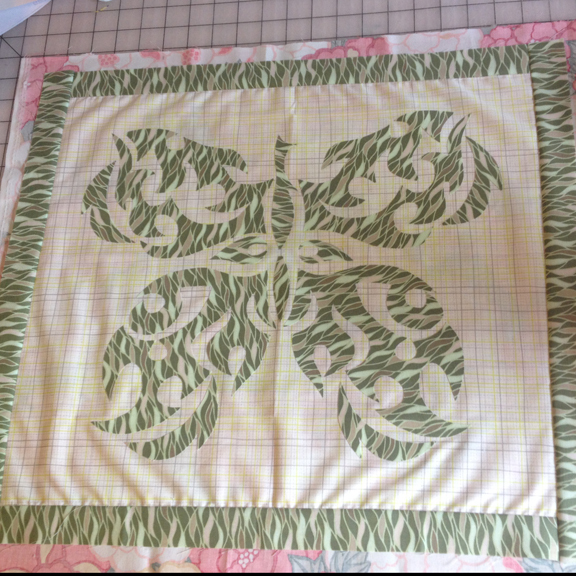 I figured, though, the quilting would be so dense and the wall-hanging sized mini would never be washed…… so I did skip that step. My lovely Angela Walters fabric for Art Gallery Fabrics did act as quilting camouflage for my stitching lines, but the texture is turning out amazing. After an hour (above), I’m a Bon Jovi song. What song you may ask? ? Whoa’oh, We’re half way there. (Living on a Prayer) Yes, I might sing that in my head when I’m half way to anything… consider yourself warned…. I did notice when I got towards the edges that my piece needed more securing. I stitched every inch or so, out to the edge, then filled in the spaces with loads of lines. That seemed to help the shift a bit. Oh Lawdy. 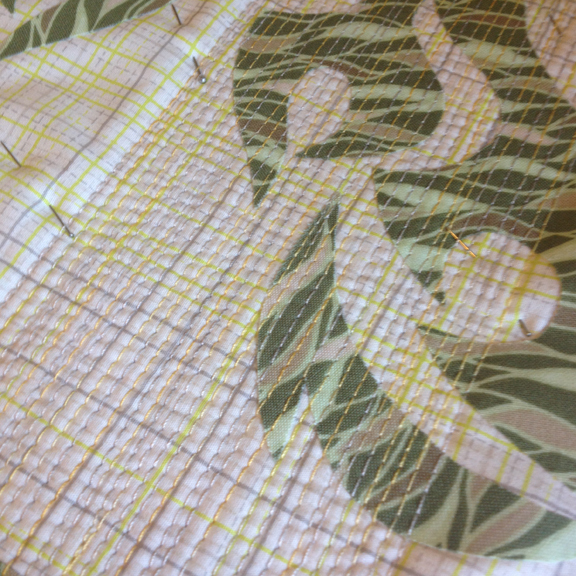 I’m crossing Matchstick Quilting off my Quilt Bucket List, but oh man. I don’t know what to think. Wait, yes I do: It is really cool, but insanely time consuming. 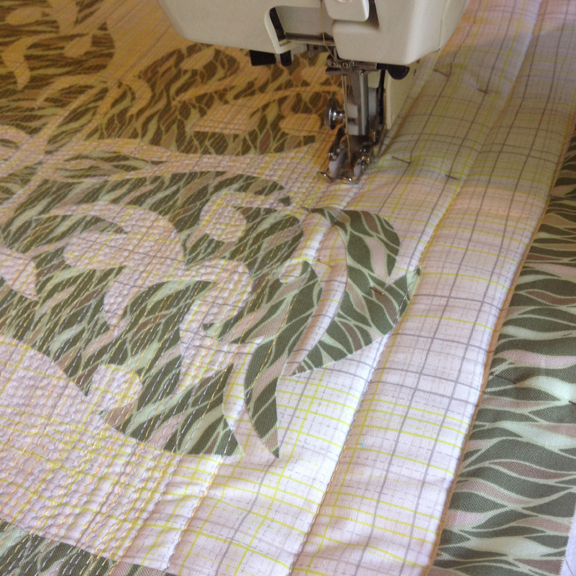 It may be better on a longarm, where you can just slide that machine across, right-to-left, but I think you would still have to go slow enough to plan that 1/8″ stitching distance. ?? For a baby quilt, my quilting style generally has me using 7 bobbins for a much larger 40 x 60 sized piece. 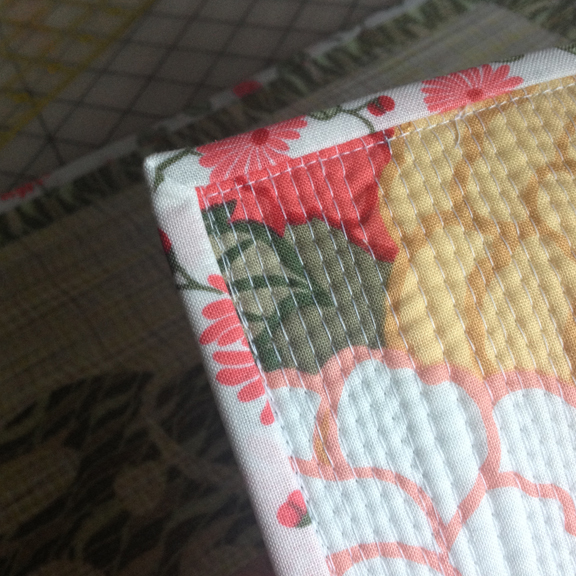 For this little smaller-than-a-fat-quarter piece, the quilting used 4 bobbins. Matchstick Quilting may have been invented by a thread company. Just sayin….. Rocked some machine applied binding in about 20 minutes and the little guy was finished.